Between 1969 and 1972, Chris Spedding was a rock guitarist whose unique sound, style and musical literacy meant regular employment on the exploding British progressive jazz and jazz-rock scene. Classic albums from the period by Mike Westbrook, Michael Gibbs, Frank Ricotti, Jack Bruce and Nucleus all feature the Spedding magic. Just prior to being voted ‘No.2 Guitarist’ behind John McLaughlin in Melody Maker’s February 1970 jazz poll, Harvest Records asked Chris to make a jazz-rock album under his own name. He did, but was unsure if this was the right direction for him. The album was completed but shelved, at the artist’s request. 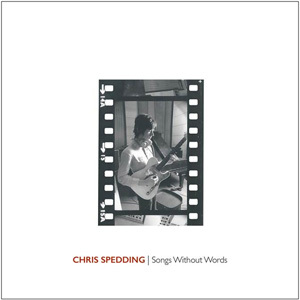 Now, 45 years on, re-edited by Chris Spedding and with a period bonus track, Songs Without Words can at last take its place as a British jazz-rock classic. This album, featuring the cream of the period’s jazz-rock musicians, has been digitally re-mastered by Ron Geesin. The booklet features extensive liner notes, rare photographs and full recording details.